Breast Ultrasound Center always appreciates feedback from our valued patients. To date, we’re thrilled to have collected 52 reviews with an average rating of 4.96 out of 5 stars. 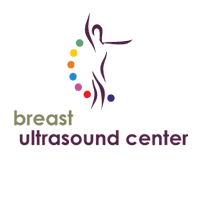 Please read what others are saying about Breast Ultrasound Center below, and as always, we would love to collect your feedback. I've gone to Dr. Kelly three times, the scheduling is always appreciated, I have never had to wait to be seen, and the ultrasound is done in a very relaxed setting. Speaking with Dr. Kelly after the ultrasound to review the imaging is very comforting. He does not hurry you through your questions or comments, he takes his time with explanations that can be understood and is willing to 'elaborate and educate' to the level of your interest in the technology. The only drawback is that this is not available to all women everywhere. I am grateful to my internist who referred me to Dr. Kelly and his Breast Ultrasound Center! This exam was a totally different experience with no discomfort at all! Dr. Kelly reviewed the findings with me, and I felt entirely assured that nothing could or would be missed! The best. My MD referred me because I said I do not believe in mammograms- they don’t make sense to me. This doctor seems to be a genius. I feel confident that if I needed help in th area of breast health, I would be in the right hands. Personally, I believe if Dr. Kelly's Sonocine technique were used as basic screening for breast cancer, the incidence of metastatic breast cancer would be significantly reduced. Visits with him are always informative and delightful. Dr. Kelly is very thorough and spends as much as time the patient requests. Excellent experience all around. Dr. Kelly is brilliant. I feel a great sense of security knowing that my annual sonocine appointments are a great way to monitor my breast health. I recommend scheduling your appointment to meet with Dr. Kelly in person. Cynthia (C. Marie ) L.
Staff and technician were very nice. Dr. Kelly is so kind and thorough. Had a great experience and I’m so happy this facility is local for me. Everyone was sensitive and kind. Love Dr Kelly, he’s an expert in his field and very pleasant. Sib M.
I love Dr Kelly. I was diagnosed with DCIS and opted for active surveillance but no longer wanted to have mammograms. I chose Dr. Kelly based on a referral from a friend on the same path. I love how dedicated he is and through with his review. The test is quick and painless and the consult is thorough and I have confidence that we will see even a very small IBC should it occur. A very nice technician performed the procedure and then I met with Dr. Kelly and we looked at the images together. He thoroughly explained everything. My husband was with me and we met with him together. I also get an annual mammogram but this gives me extra comfort in knowing everything is as it should be. Personal, comforting experience. With breast cancer being so prevalent, I am glad to be empowered with the best technology and knowledge available. I have dense breasts and breast reduction scars. There is no point in having a mammogram or leaving a ultrasound to chance! I see Dr Kelly every year and feel more confident about my health thanks to his technology to identify breast cancer early. Dr. Kevin Kelly is my permanent breast screening professional. I had numerous mammograms and a small growth was undetected. Dr Kelly found it right away, there was no pain, radiation or trauma to my breast. Sonocine detected everything the follow-up MRI with contrast did in a matter of minutes. Dr.Kelly’s is always eager to share his knowledge and address any questions or concerns. Detail oriented, knowledgeable and great patient care!